The WWF promoted the sixth annual Survivor Series, going back to a format of predominantly eight-man tag team matches, a format moved away from last year. The following is a run-down of the four eight-man tag matches and the intermission featuring The Rock & Roll Express and Heavenly Bodies. Following that are reviews from all four Torch columnists and the editor. The program opened with Lex Luger, his wife Peggy, and his children Brian and Lauren in their living room wishing WWF fans a happy Thanksgiving. The irony of Luger's wife being Asian-American probably was not lost on all WWF fans. Todd Pettingill interviewed Shawn Michaels, who insulted the Hart Family. Ray Combs, host of "Family Feud," introduced the match after giving a mock series of survey results on the participants in the following match. (5) Lex Luger & Undertaker & Scott & Rick Steiner defeated Yokozuna & Ludvig Borga & Crush & Jacques Rougeau when Luger survived at 26:20. Borga pinned Rick at 3:30 after turning a crossbody block into a powerslam. At 9:50, Savage came toward the ring, and was held back by WWF officials. Crush charged Savage and the two brawled for a minute as Crush was counted out at 10:03. Luger hit Rougeau with a second rope elbow for a pin at 12:30. Scott missed a Frankensteiner and was pinned by Yokozuna after a legdrop at 15:20. At 19:00, when Yokozuna missed a corner splash, Luger tagged in Undertaker for the first time in the match. Yokozuna gained the advantage after Borga his Undertaker as he rebounded off the ropes. Undertaker rose as Yokozuna attempted a second bonzai splash. Undertaker hit Yokozuna with a flying clothesline at 21:26. The two spilled outside of the ring and were counted out at 21:47. This left Borga and Luger. Borga hit Luger with Fuji's salt bucket, but Luger kicked out and began a comeback. After a DDT, powerslam, and flying elbow, Luger scored the pin at 26:20. Mark Madden (4.0): Pro wrestling's real Survivor Series is just about to begin. That said, the WWF's annual Survivor Series was not too good. The problem really lies with the WWF not having a wrestler who is over - not Luger, not the Steiners, not Yokozuna, not Borga, no one. The closest to being over are Razor Ramon and Undertaker, and they're a long way away from drawing money. The top babyfaces are either too one-dimensional or too boring; same for the top heels but, for some reason, cure-all Jim Cornette is not being allowed to carry the load. Cornette should be given total control of the heel side in every main event at every PPV, recreating each heel's image like Albano, Blassie, and Grand Wizard before him. Three heel managers at ringside for the main event was too much, too distracting. As for the matches themselves, none were good. The Family Feud match was okay if only because the crowd turned on Ray Combs. Actually, the idea was great, but didn't work because Shawn Michaels just couldn't transfer the heat to himself given the time constraints. Plus, no one is going to care about a match where they've never heard of five of the eight participants. The beginning of Owen's turn was well-done, except he's a jobber. No one cares when a jobber turns. They probably should have made the turn more decisive to save the match and put big heat on Owen. Loved Stu's punch. Hard to tell on TV if it was a legit blow but, knowing Stu, it likely was. For an old guy he still has a little charisma. You look at him, and you can tell he was once something - seriously. McMahon and Heenan were great during this one. The SMW Title match was okay, but looked totally out of place on a WWF show. The Rock & Roll are has-beens, as workers and as personalities. I thought the symbolism of letting the minor-league broadcast team (Ross & Monsoon) do the minor-league match was very evident. The main event was predictable, right down to who got pinned and who got counted out. Also, the main event didn't create anything new, which was very telling. It's obvious the WWF has given up on Luger as being the next big thing and that McMahon and Patterson are thinking on the go in terms of booking. Bruce Mitchell (4.0): USA! USA! Yawn. This show was really damaged by Jerry Lawler's absence. No one bought Shawn Michaels in the same "Your mama wears combat boots" role. Owen as a heel against his brother strains even the credibility of WWF storylines not to mention the fact that he is nothing more than a glorified job boy these days. Hey, how 'bout those Knights, huh? Talk about Star Power. I guess Reggie B. Fine had to work second shift that night. While the Bodies match may have been the best for workrate, it fell flat, just as the whole Whiff/Regional connection has become. Jim Ross calling a match no one cared about with Jim Cornette's team versus the world's oldest teenagers was reminiscent of the "glory" days of Jim Herd. About those Doinks - Come back P.N. News, all is forgiven. Yeech. It can't be that hard to find a decent rapper these days, can it? And the All-American can wear red, white, and blue underwear from now until the end of time, but Lex is still Lex, and he still can't cut it. Ludvig Boring as lead heel is a blonde bomb. Undertaker is kinda fun in a perverse way but it is a one dimensional gimmick. Still, it's comforting to know that Death is on America's side. Considering the sellout, this should have been Titan's hottest crowd and yet a lot of the wrestlers were not over at all, even ones whose acts would have gotten good reactions just a couple of years back. In addition to their legal problems this company also has serious creative woes. Chris Zavisa (2.0): On Wednesday and Thursday, many people took out treasured family recipes to begin preparing a culinary holiday feast. Vince McMahon dusted off a recipe of his own in Boston and produced his own form of holiday turkey. It went something like this. Take 36 wrestlers, half of whom are clearly poor to mediocre workers, and place them in five bouts stretched over nearly three hours. The result was certainly no feast. The evenings best bout - the SMW tag title change was a very solid three-and-a-half stars - but it certainly had nothing to do with Titan Sports. The four WWF bouts ranged from a decent opener to what is without a doubt the lock for worst bout of the year. I have always considered Titan's product to be little more than a macabre cartoon. When I say this in print, some Vince wannabe writes in and criticizes me for it. Let me quote that great god of mass entertainment Vince McMahon on Wednesday night: "C'mon ref, this is a cartoon! Forget about Looney Tunes. Forget about Hanna-Barbera. They have nothing on the WWF." All of you WWF apologists out there, please direct your indignant comments to Connecticut and not to Michigan. The opener was a decent two stars. The Knights bout had no heat and the three Knights and two lesser Harts contributed nothing of value. The Owen Hart turn - if that is what it was - was as weak and limp. The Doink fiasco was one of the all-time most repugnant spectacles I have ever witnessed in a wrestling ring. I fell asleep during the Knights match and begged to be put to sleep during the Doink match. It was that bad. The patriotic flag waving lead into the main events was phony and artificial. Vince should have spliced in footage of our fine Federal Court system as well. I give this a 2.0 - mostly for the SMW bout. If this stood on its own without that bout - it would easily rival the worthlessness of Saturday's WCW disaster. Carlie Gill (4.0): It was a disappointing show from two aspects. First, aside from the Bodies vs. Rock & Roll, the work was lousy, even by WWF standards. The Doinks match and Family Feud match were terrible. The angle with Owen didn't make sense. The turn was too subtle. 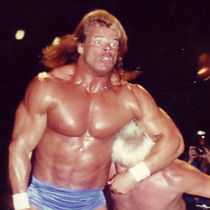 Second, the Lex Luger push is a monumental flop. There were at least three other babyfaces at the show more popular than Lex. And who would ever believe that Jim Cornette wouldn't get over in the WWF. He had a about as much fan interest as Ray Combs from "Family Feud." If he is going to be of any value to the WWF, he needs to be on the road full time and not share the spotlight with 50 other people at the mic. Since Jim obviously won't leave SMW, I see no point in continuing with his working relationship with the WWF. Wade Keller (3.5): The quality of the WWF's final high-profile event of 1993 reflects in many ways the changes, pressures, and problems the WWF is facing behind the scenes. The first and last matches were good, well-played-øut, and further established the main WWF characters. 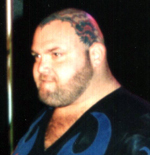 Without Jerry Lawler, the effectiveness of one of the matches was stifled before the event began. In fact, without a deep pool of big name talent, the ability of the WWF to present a strong series of four eight-man tag team matches was questionable at best well beforehand and proven a mistake afterward. Without the necessary creativity and aggregate time spent on promoting the two teams from Smoky Mountain Wrestling, added to the disinterested Boston crowd, the Heavenly Bodies and Rock & Roll Express never hit their stride. For two teams - presented as "outsiders" to begin wit - to get over in a historically WWF territory such as Boston, there needed to be an issue at stake. The SMW Titles mean nothing in Boston. Neither do the Bodies or Express. If Luger is going to get over, it's finishes like his pinfall over Borga that will make it happen. There will be no "what ifs?" if Luger flops. In summary, the Monday morning following Survivor Series was probably a day when all WWF officials tried to start fresh, putting behind them a disjointed, largely ineffective event. From the flow reestablished at Monday Night Raw, it appears whatever embarrassment, if there was any, stemming from the middle of the Survivor Series wore of quickly with McMahon and Co. (newly joined by Jerry Jarrett's fresh, albeit unproven on a national-scale, booking juices). This format can still work, but only if at least half of the wrestlers in each match are over. Keith Hart and Jeff Gaylord didn't cut it.